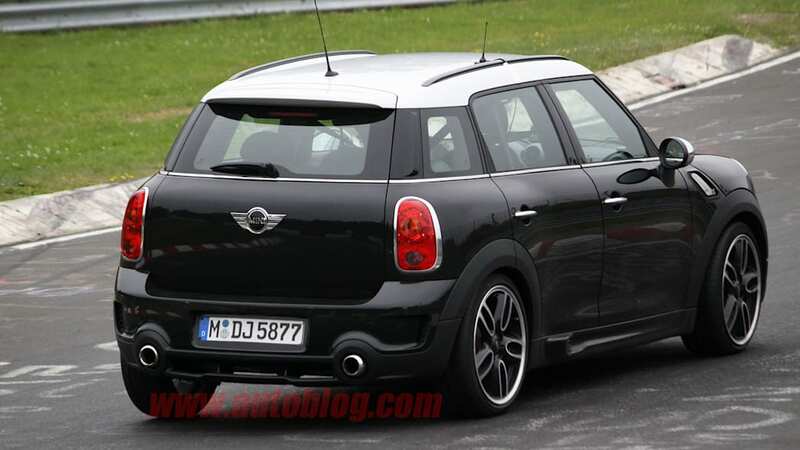 Mini has established a pretty successful formula for its lineup. The party gets started with a base model, followed by a slightly more athletic S variant. 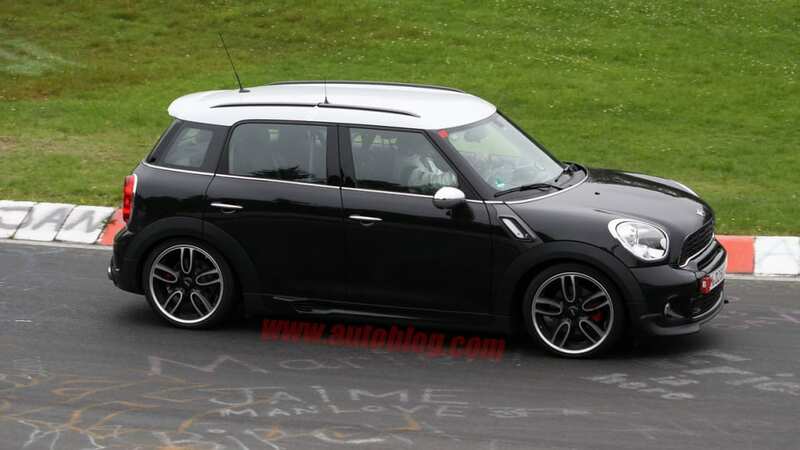 But at the very top of the heap, the John Cooper Works trim delivers gut-punching performance with a serious suspension, easy-breathing exhaust and beefy brakes. 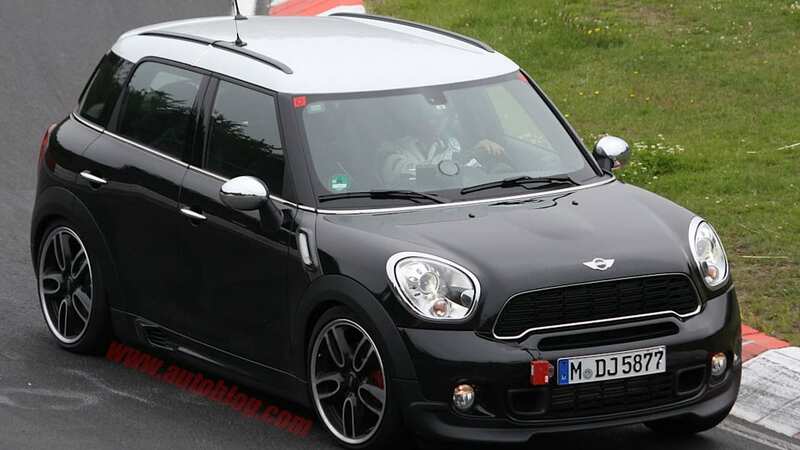 Judging from a handful of spy photos dredged up by our crafty shooters, it looks like the high-riding Countryman will get a taste of the JCW action, too. 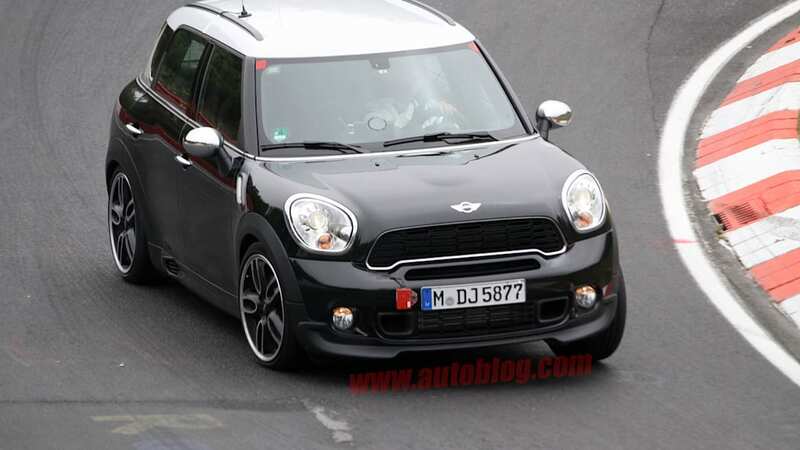 The more menacing baby crossover was spotted lapping the infamous Nürburgring in anger ahead of the car's public debut. 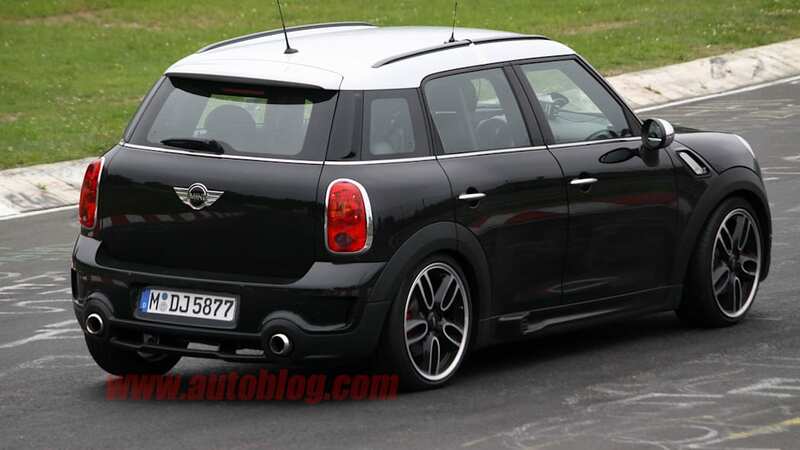 On the Countryman, the JCW trim serves up a new spoiler kit, complete with front aero work, side sills and a redesigned rear bumper with an integrated diffuser. 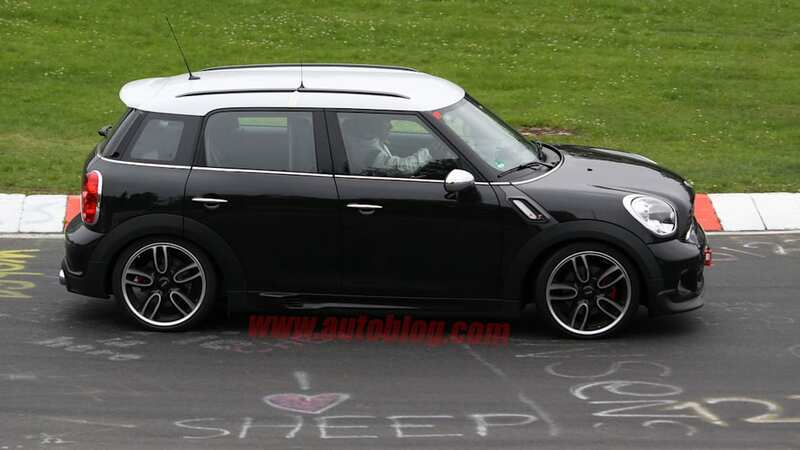 Word on the web is that this bruiser will boast a little more power than standard JCW hardware, with its forced-induction 1.6-liter four-cylinder engine churning somewhere between 220 and 230 ponies. All that grunt gets dropped to the pavement via the same All4 all-wheel-drive system found on the lower trim levels.